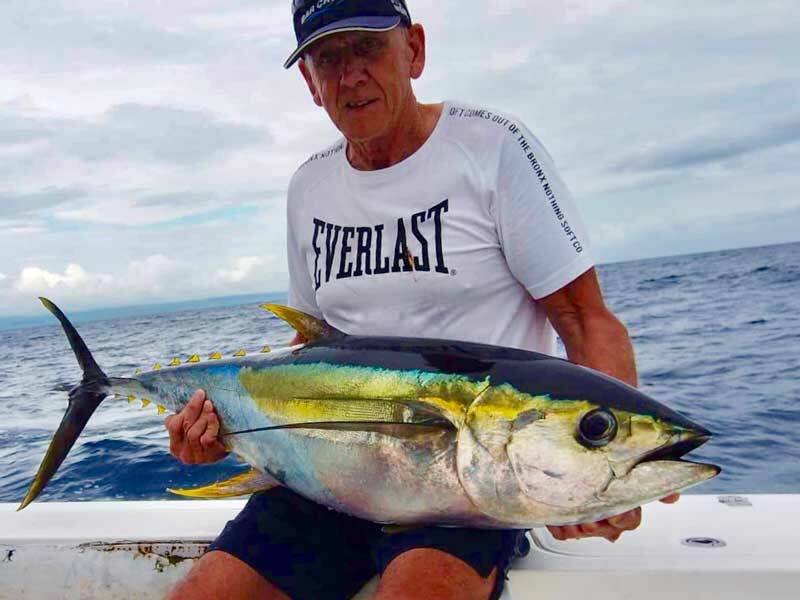 A Vanuatu Fishing Adventure you’ll come back for! 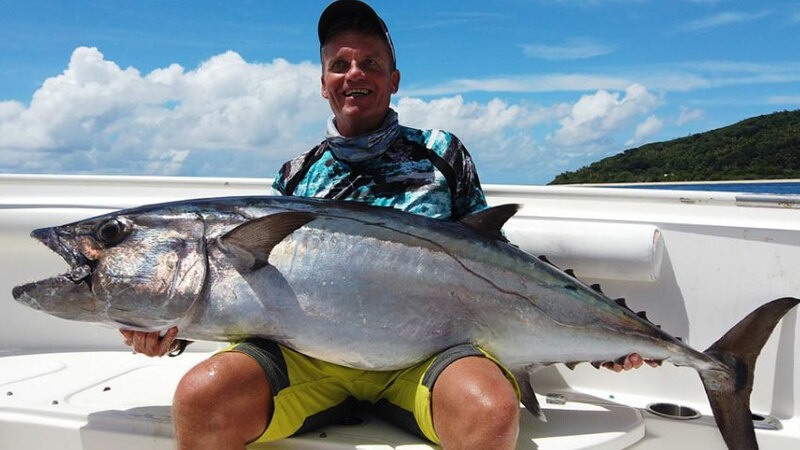 The Ocean Blue difference is based on offering you more than just a Vanuatu fishing adventure. Imagine enjoying a truly interactive trip, experiencing the adrenalin rush of seeing big fish take your surface popper or stick bait. Whether you’re a novice or a seasoned angler, your expert guide will share the latest tricks and techniques to make sure you hook more fish. Off the water you’ll be taken back by your spectacular lodge, walk on, walk off set up, the stunning setting and amazing dining. 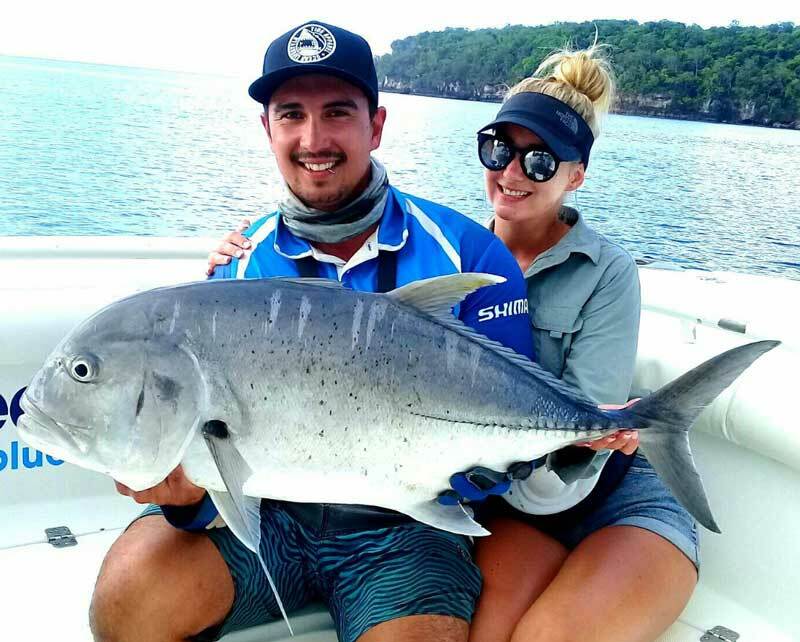 Your next Ocean Blue Vanuatu fishing trip will be the one you’ll be coming back for year after year! Trees and Fishes is your spectacular private Vanuatu fishing lodge offering you a truly unique experience. Upon arriving you’ll be taken back by the breathtaking location and spectacular scenery. Trees and Fishes is perfect for anglers, couples & corporate groups. Experience a personal level of service not possible in large resorts. When staying with us you’ll experience genuine hospitality, a stunning setting, superb cuisine and an atmosphere which is totally unique! 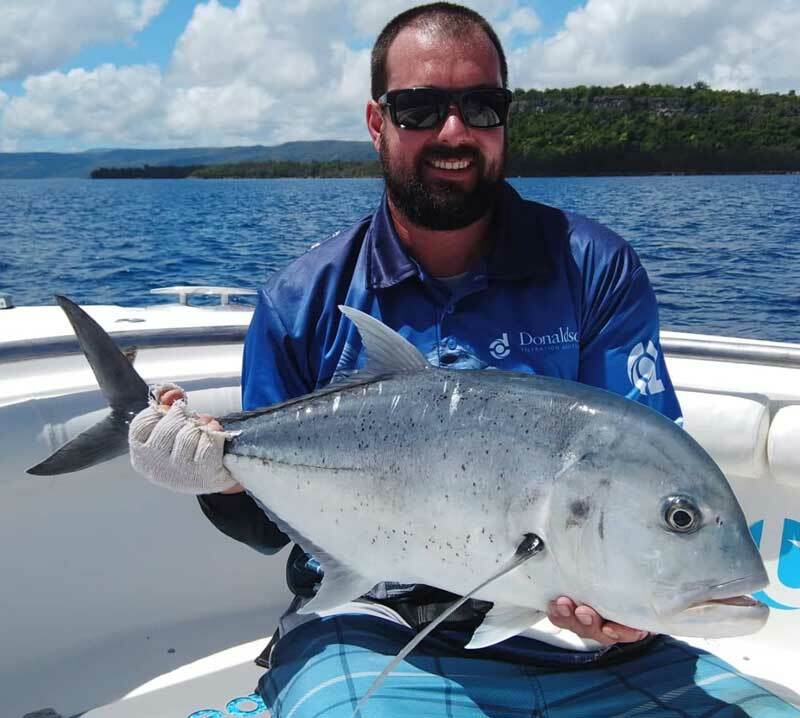 Trees and Fishes is the perfect base for your next Vanuatu Fishing Adventure. 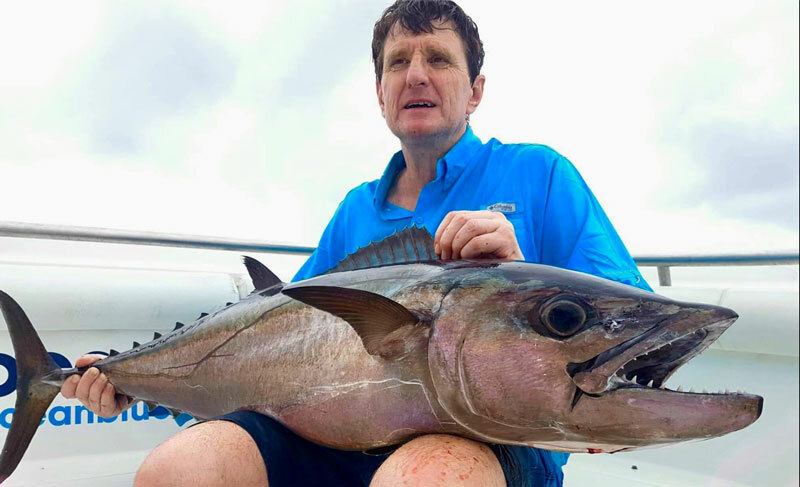 When fishing in Vanuatu with us you’ll experience a comfortable ride on one of U.S. built EdgeWater Centre Console Sport Fishers. They are the biggest boats in their class offering unrivalled space and comfort for up to 5 anglers. The twin 250hp Evinrude E-Tecs will get you to the fishing grounds fast, maximising each fishing day. There are enough rod holders and storage for all your tackle, and ours. While our Cresta 46 Gamefisher provides big game anglers the platform for targeting big billfish in complete comfort. Ocean Blue understands that your holiday or vacation is not only a financial investment but also an allocation of your quality time & effort. You will experience truly personalised service, and attention across every detail of your Vanuatu fishing trips. 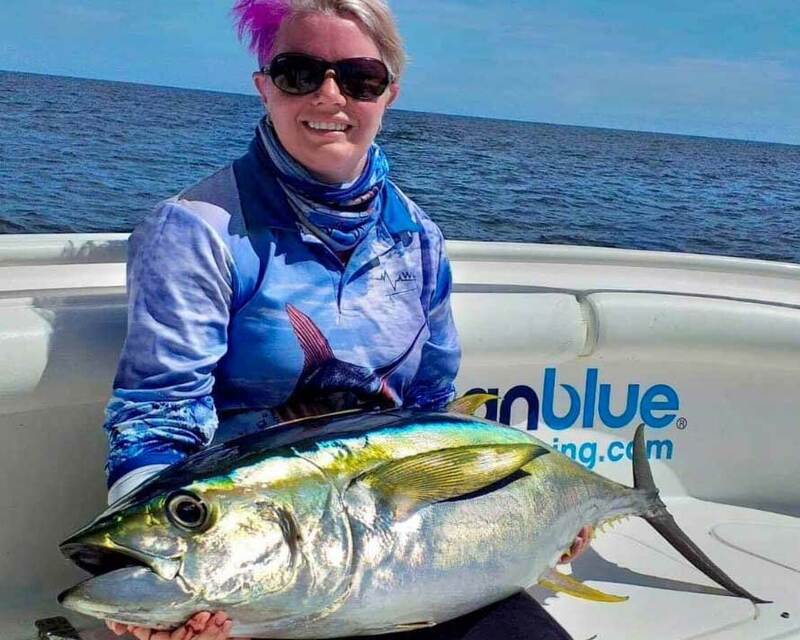 From the moment you make first contact our team will strive to provide the perfect fishing holiday package to suit your individual requirements and budget. Once in Vanuatu you’ll immediately unwind, while our professional team looks after every detail you could possibly think of and more.